Here comes Promotion video 6 from Mother Earth Artists before the release on December 1st 2018 of the new single and video “The Lost Memorial of the 1900s… Part 6”: “Follow that Flying Dove”  / “9/11”  with Armand Gutheim & The Feel Harmonic Rockestra. 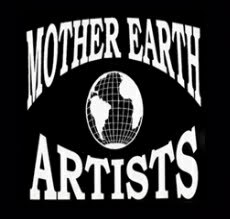 You're most welcome to visit www.motherearthartists.com and send us an e-mail to info@motherearthartists.com if you want. Please, spread this video in your own network and don't forget to click on every like- and follow-button you encounter if you like it. Thank you so much! Mother Earth Artists presents the fifth 2-tracks single "The Lost Memorial of the 1900s... Part 5" consisting of: "Human Rights!" / "Turn the Tap Off"  with Armand Gutheim & The Feel Harmonic Rockestra. It is preceding the release of the forthcoming full length album "The Lost Memorial of the 1900s..." on December 15, 2018. Join us on this musical trip through time and history with all its reminders and milestones still relevant for us all today. This single takes us back to 1968, one of the most charged years of the 1900s with all conflicts around the civil rights movement in the United States, apartheid in South Africa, the student revolt in Paris, the ongoing Vietnam War and the Prague spring, and to 1973 when another armed conflict in the Middle East led to the "oil crisis" in the West, which also became an eye-opener for our dependence on fossil fuels. Mother Earth Artists also presents the new music video "Human Rights!" which accompany this new single "The Lost Memorial of the 1900s... Part 5". Here comes Promotion video 5 from Mother Earth Artists before the release on November 17th 2018 of the new single and video “The Lost Memorial of the 1900s… Part 5”: “Human Rights!”  / “Turn the Tap Off”  with Armand Gutheim & The Feel Harmonic Rockestra.